The 2019 class of the Rock & Roll Hall of Fame were inducted on Friday during a ceremony at Brooklyn’s Barclays Center. Among the seven prestigious inductees were new wave pioneers The Cure. 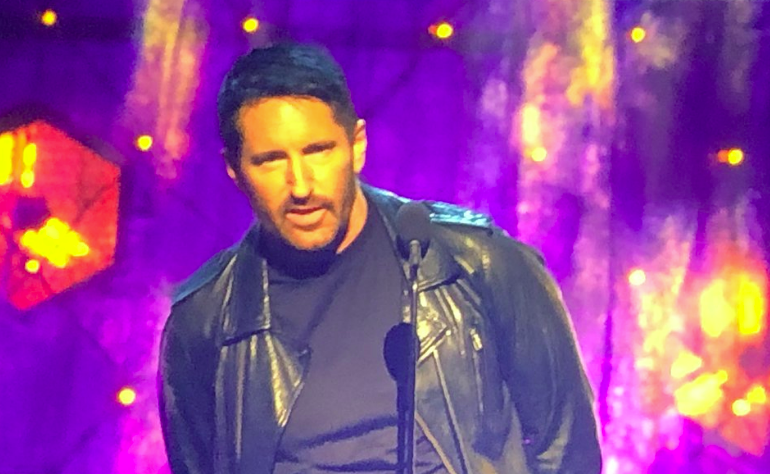 Despite his past feelings about the Hall of Fame, Nine Inch Nails’ Trent Reznor was tapped to formally induct the iconic English outfit. Reznor has been a fan of The Cure since he was 18, as he told The Quietus in an interview last year. “The Cure were one of those bands that really struck a chord and Head On The Door is the album that made them really important to me,” said Reznor. “I got into that and then worked my way backwards. That album got me through a lot of long dark times. I felt that this Robert Smith guy really understood who I was and I loved The Cure from that point on.” 2018 saw Smith personally book Nine Inch Nails to play his Meltdown Festival. “The Cure have been in and out of fashion so many times over the past four decades, they’ve ended up transcending fashion itself,” Reznor said at another point. The Cure’s Smith kept his comments brief, saying, “It’s a very nice surprise to be inducted into the Rock and Roll Hall of Fame.” He then led his band through a five-song performance, which you can watch here. According to frontman Robert Smith, The Cure have already begun working on their first album in 10 years. The band has also set its 30th anniversary “Disintergration” shows and is marked to headline major festivals like Glastonbury and Fuji Rock. Purchase tickets to their upcoming dates here.